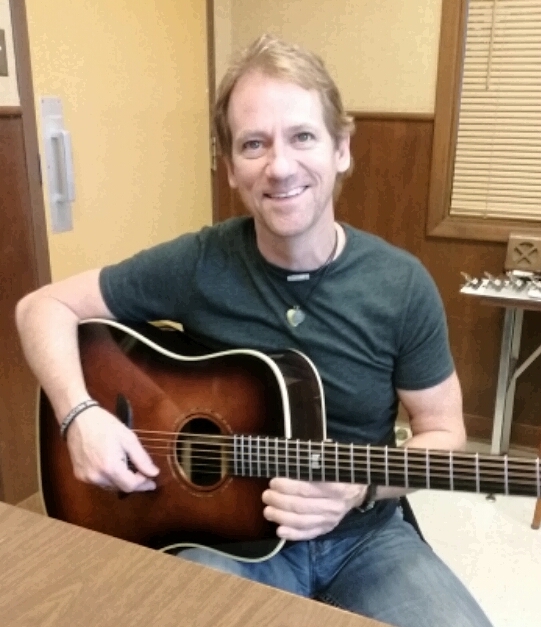 Local Musician/Songwriter Earns Guitar Endorsement from Alvarez Guitar Co.
Home » Community Events » Local Musician/Songwriter Earns Guitar Endorsement from Alvarez Guitar Co.
Brad Davis of Commerce, Texas is a 53-year-old seasoned professional musician. He plays guitar plus a number of instruments, owns and operates a recording studio where he engineers, mixes and produces music projects for himself and others. He stays in demand as a sessions player in Nashville. On the client list of his music company, BDM Music, is the likes of Willie Nelson and Billie Bob Thornton. Brad is a Grammy-winner for his collaboration on a song called “The Wind”. 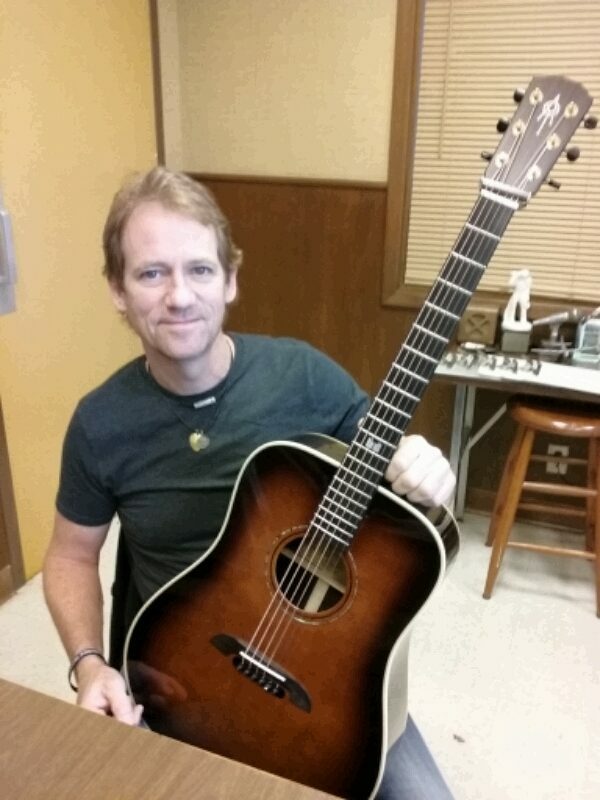 Recently the Alvarez Guitar Company sought Brad out to endorse a new guitar they were designing. This was not the first company to want his trademark on one of their instruments, but it is the only one he was ready to accept wholeheartedly. He loves the rich sound of the coffee-colored creation which is reminiscent in looks and tone to a 1937 Martin. It was constructed from a cache of very old rosewood, a type of wood which is now on the endangered list of natural woods in the world. The pegs are made of ebony, and his initials are tastefully set into the frets, with the letters”bd” appearing in lower case. The Alvarez Company will produce only 2,000 of the handmade guitars for sale in the $5,000 price range. In 2018, they will mass-produce copies of the guitar for sale in the $600 range. The Alvarez Company is also making it possible for Brad to nake a specialized tour around the state appearing at small venues with this guitar, both in solo acts and with a trio of players. You might catch him nearby soon! Find out more about the fascinating career of Brad Davis online, and contact his music studio at braddavisrecordingstudio.com.